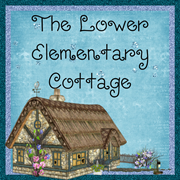 The Lower Elementary Cottage: The Best Science Lesson Ever! You know that moment in the middle of an amazing lesson when every student is responding above and beyond what you are hoping for during the lesson? It doesn't happen often...but today I had one of those PERFECT teacher moments. At one point I honestly just sat on a side table and watched my kids completely engaged and learning! Yesterday I received FOSS kit for insects, but discovered they do not come with bugs nor coupons for bugs. So I did my own bug hunt yesterday. After a quick review of our insect lessons thus far, I taught the students what it means to "observe" and they each worked with a partner to observe and discuss insects. They each had an observation sheet to draw their bug and draw/write their observations (1st graders drew, 2nd graders wrote). I have a class of only 11 kids, so I had enough bugs that every child could have their own observation jar with at least one insect inside. My kids were observing, discussing, drawing, labeling, and describing insects! 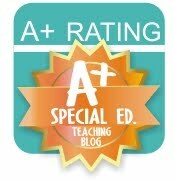 It was an AMAZING teaching moment! Lauren (who HATES bugs) even stopped to video record the amazing learning happening. The kids were so engaged that they were able to each observe and draw at least 2 different insects. It just so happens that the new speech teacher was coming to observe my class. They had such wonderful discussions with their partners that she was able to get a very strong grasp of the different needs in our class. Our Head of School was also able to see some great learning in action when she stopped by. This was one of my most successful and fun lessons ever! Fabulous! What is your favorite lesson of all time?